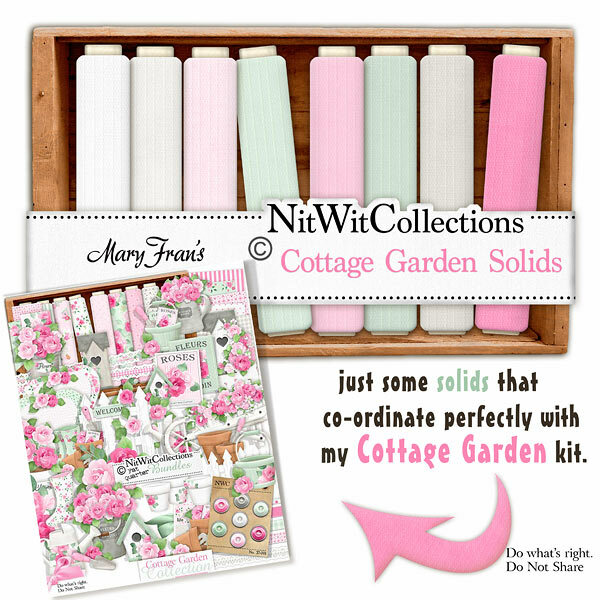 "Cottage Garden" Solids are digital papers that you will not want to be without! When creating your cards, scrapbook layouts and other craft projects it is such a great look to back patterned papers with a solid one and this Solid Paper Pack will give you the exact colour matched papers to use!! These digital papers are NOT included in the FQB "Cottage Garden" Collection so please don't miss out!